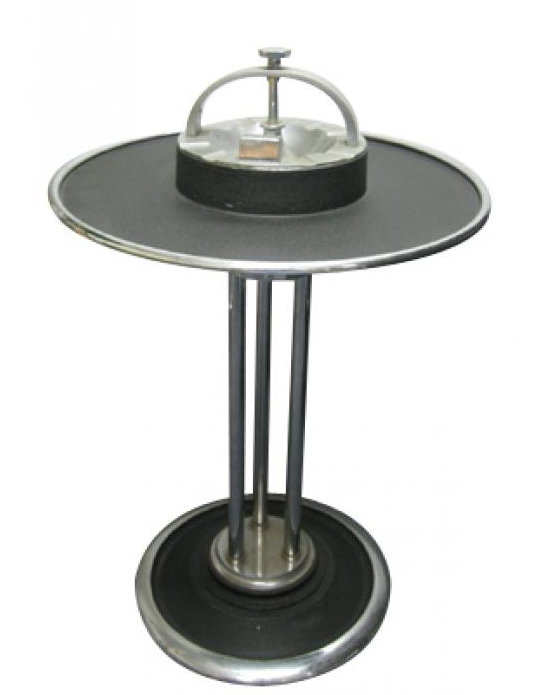 This cocktail smoker stand was designed for the Climax Machinery Company by W.J Campbell in 1934. The Stand feature a circular ring that can be removed to serve drinks. The ashtray itself has a lifting device to deposit spent ashes into a tube which can be emptied. The ring has a Climax decal on it and it stands 26'' high.